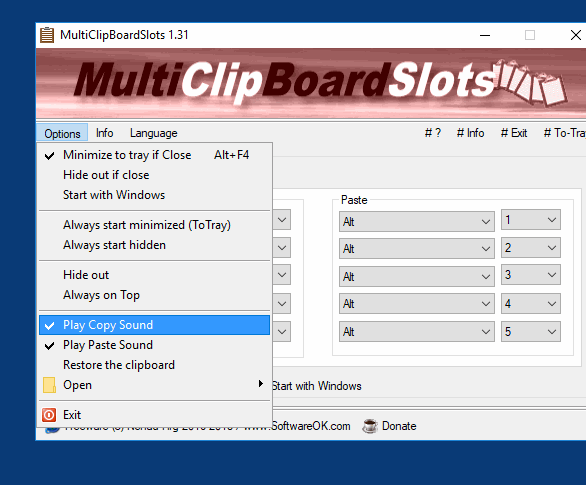 The keyboard shortcuts for the Clipboard Memory Slots are predefined, but always can be individually adjusted. webfork, can you merge all SoftwareOK programs' forum topics into one, like with NirSoft? billon wrote: webfork, can you merge all SoftwareOK programs' forum topics into one, like with NirSoft? For anyone watching carefully on the forums, I do like to consolidate different threads on a given topic to just one, especially on older topics. I generally find it easier to search for items on the site that have that kind of format. The exception here is giving each entry on the site it's own corresponding unique thread to link to. I say that because at least once a month I'm splitting threads that wander off about some different topic from the original intent. 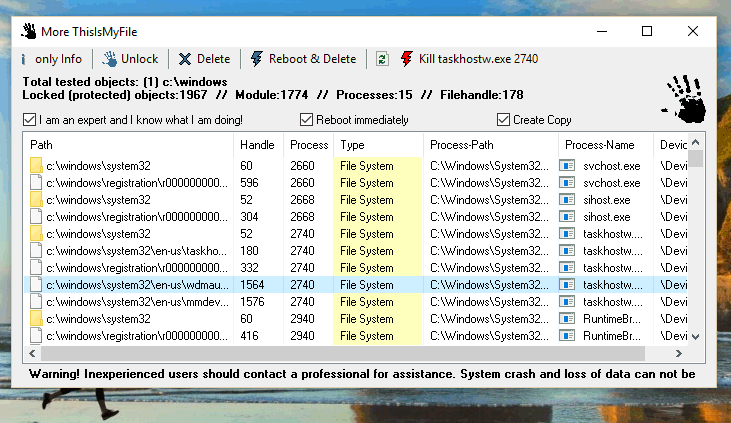 I think that will get worse if we have multiple programs represented by one thread. You'll see discussion cut in half by questions about a totally different program. The Nirsoft thread is unique simply because not every program by that dev has spawned a unique discussion. Where it has we have many separate threads. I can't seem to make this program work. 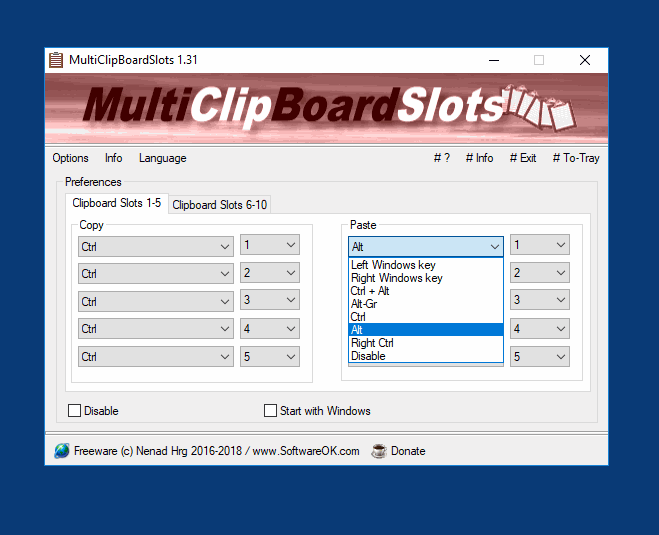 The default CTRL+1 doesn't seem to copy text even in programs without other hotkeys (like Notepad) and the corresponding ALT+1 doesn't paste. What am I doing wrong? Awesome thanks for doing that. 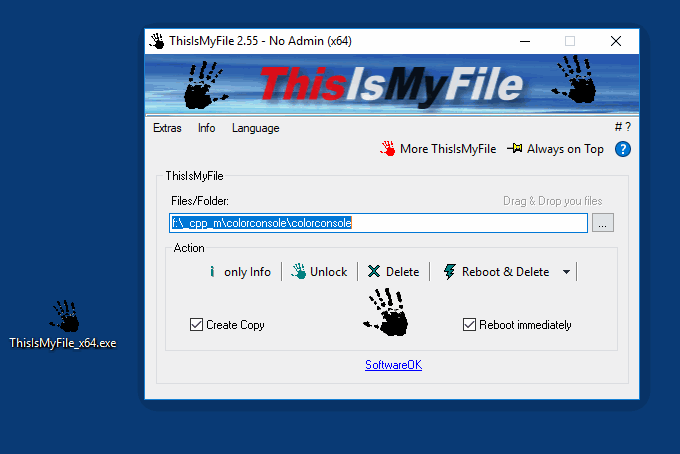 I'm glad to see something along the lines of File Assassin, Unlocker, and LockHunter from the developer of the excellent DesktopOK. # How does the program work? 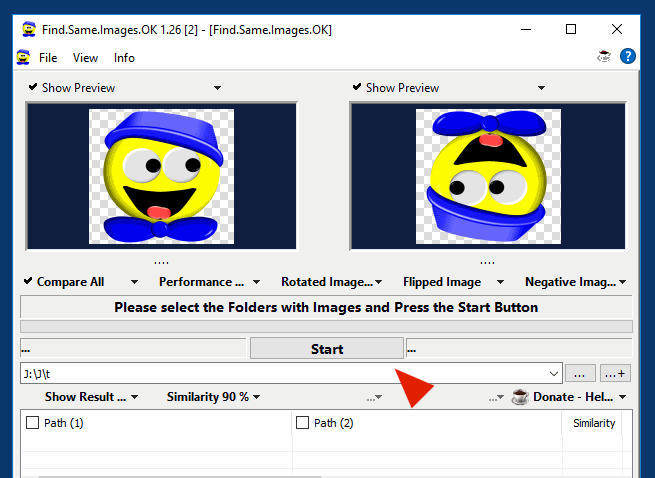 Please, the program should not be confused with a stupid duplicate finder program, the program generates graphic signatures and compares them on pixel basis, but not only that, you can also find rotated, mirrored and negative images even if eg the image is in size (Dimension) changed. (Which one does not rarely do, if the picture comes from the Smartphone or iPhone). And the good thing is that it's much faster than duplicate files finding program. With good computer systems, over 100,000 comparisons per second . Although currently only single thread (Core). 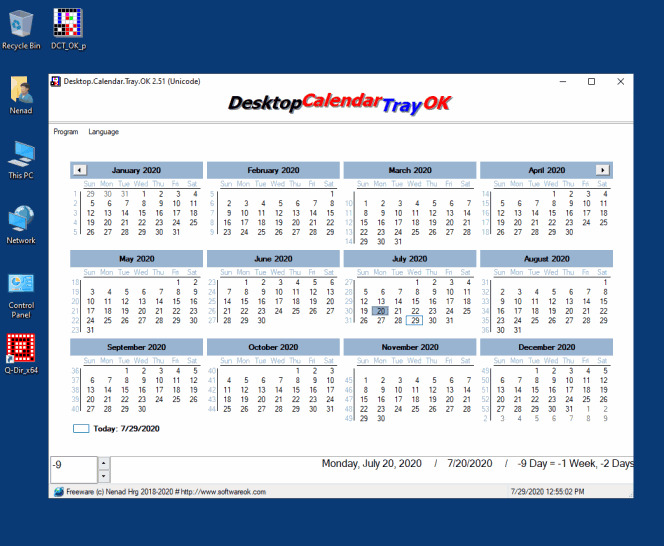 Desktop.Calendar.Tray.OK is a good helper if you often lose yourself in the days and have no overview of the calendar days in mind! 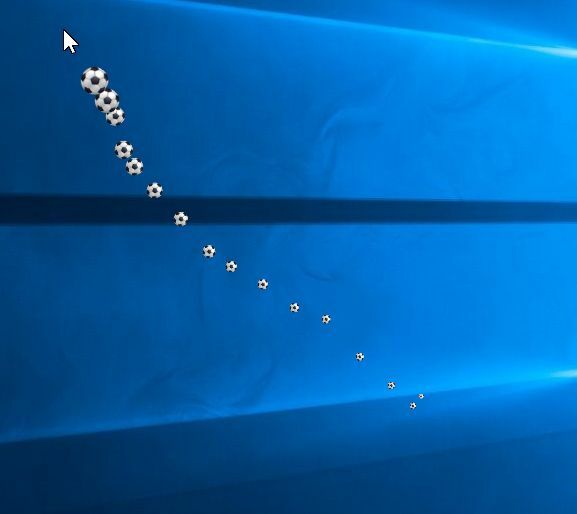 Having a calendar is very convenient on the Windows desktop. 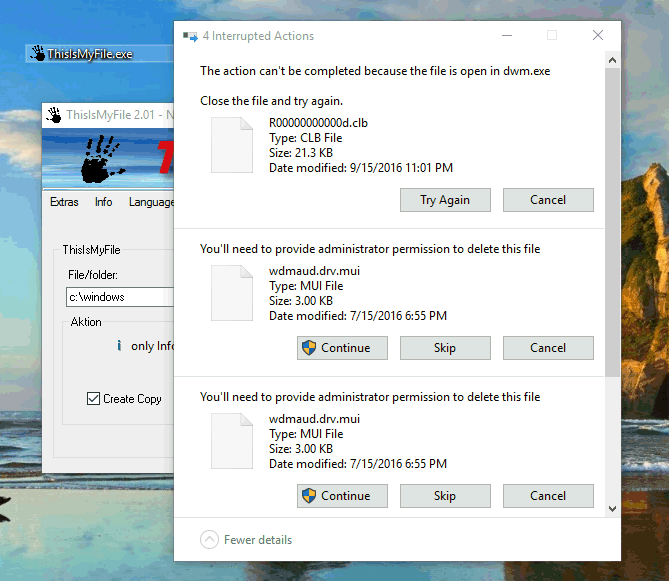 For example, you can quickly jump to the desired month or date and view it through this Windows Desktop Tool. Now you can see the first day of the week and the weekly overview is also very convenient. This desktop calendar will be an excellent help at work and in everyday life. It is convenient to use, does not interfere with other programs, and always stays close at hand. 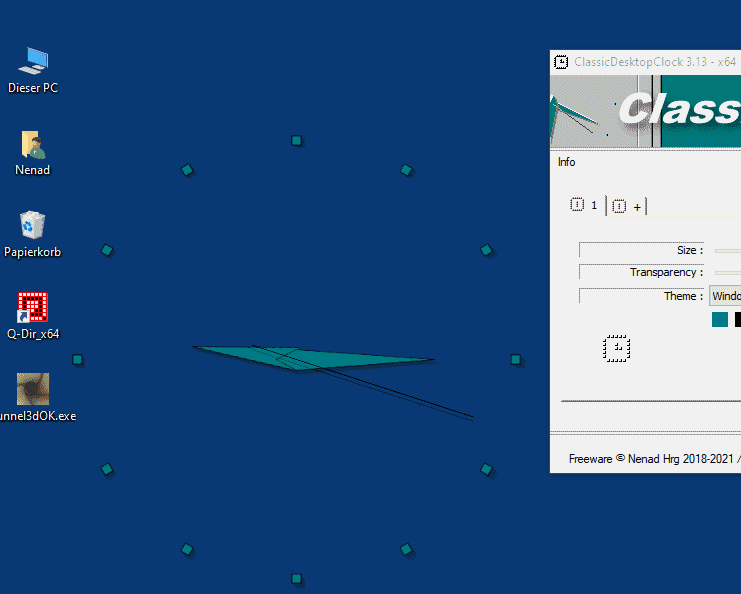 I can't think of any use for this but then I've underestimated SoftwareOK's tools before. 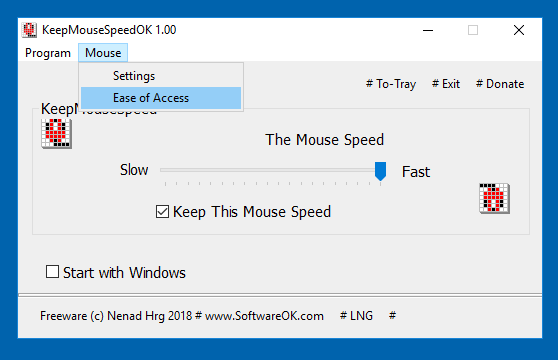 Now I use both their DesktopOK and QuickTextPaste programs almost daily. The classic desktop clock is a simple yet beautiful Windows desktop clock with different themes and customization. 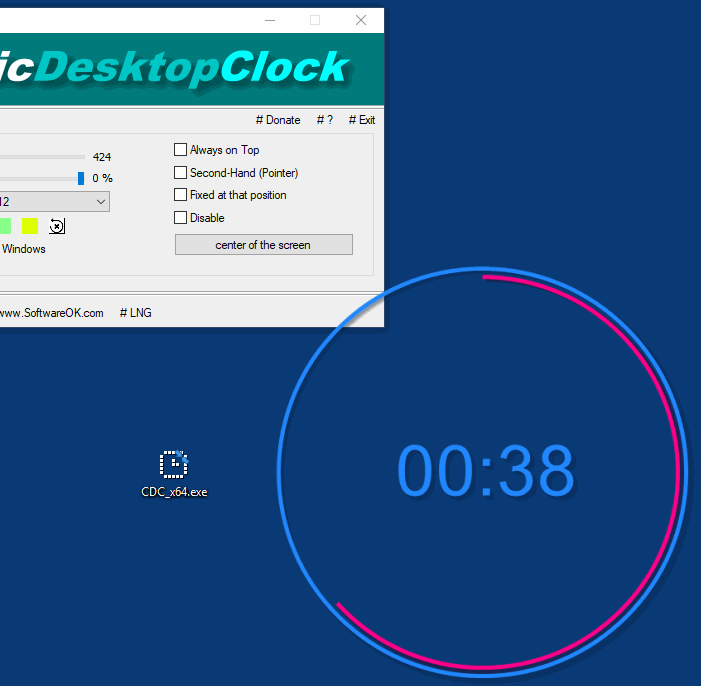 Made on multiple user request, in memory of the Windows 98 SE clock, which was used for the time and date settings, so that the old version of the clock under Windows does not fall into oblivion. 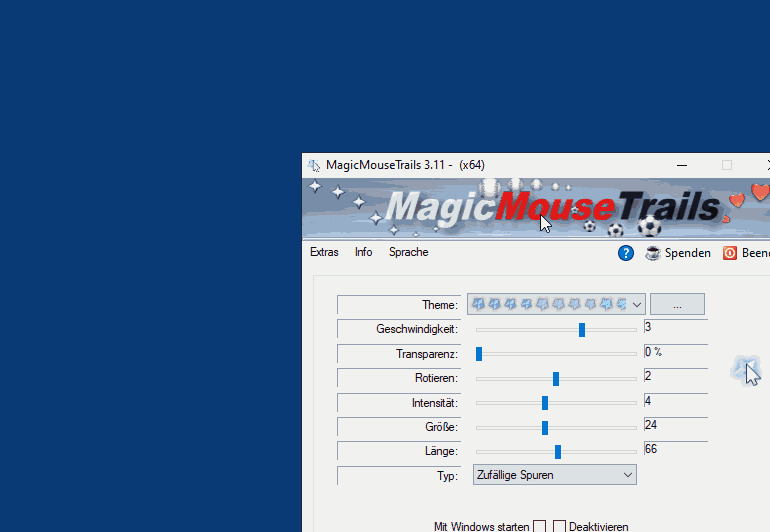 MagicMouseTrails creates Magic mouse tracks on the Windows desktop, with beautiful effects and different themes for individual customization.